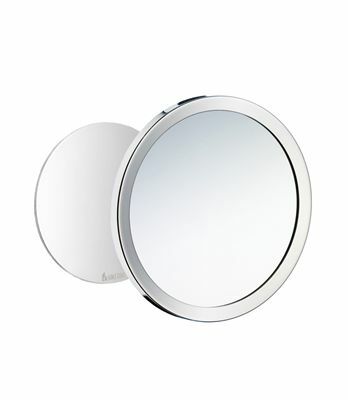 Self-adhesive shave- and make-up mirror in chrome finish. Wall mounted. And removable !